Frank examines American policy and issue areas, including the economy, religion, well-being and indicators of public mood and consumer behavior. His analyses appear on Gallup.com; in his blog, "Polling Matters"; in books and other publications; and on video, in podcasts and through radio and television appearances. Frank is the author of God Is Alive and Well: The Future of Religion in America and Polling Matters: Why Leaders Must Listen to the Wisdom of the People. He is also coauthor of Winning the White House 2008: The Gallup Poll, Public Opinion, and the Presidency; The Evangelical Voter: Religion and Politics in America; and coeditor of The Gallup Poll: Public Opinion, volumes 2004 through 2012. Frank's articles and op-ed pieces have appeared in the American Sociological Review, Public Opinion Quarterly, The New York Times, the Los Angeles Times and many other publications. 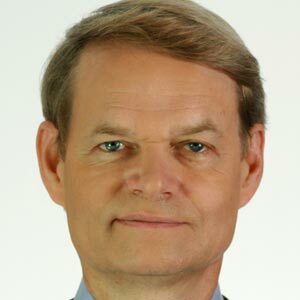 Frank served as the 2010-2011 president of the American Association for Public Opinion Research, the nation's largest association of professional survey researchers and pollsters. He is vice chairman of the Board of Directors for the Roper Center for Public Opinion Research. Discover how you can partner with Gallup today.